In Brief: Hike over the hills to isolated Shuitou Village, hidden deep in the hills of Huailai District. Great hilly scenery and exercise, and a walk through at a village that hasn't changed much since the '80s. Taking a break high up in the hills behind Shuitou Village. Approx. 5 hours of hiking over around 16km. Work day If you work in Beijing you might be expected to show up at the office today, as it’s a make-up work day for the big holiday next week. This trail follows short sections of a few of our Zhenbiancheng area hikes, but adds a big extra section that takes us back in time with a hike over to the left-in-the-80s village of Shuitou.16km in the hills and valleys, with a good 952m of ascent over the course of the hike. Members and regulars who have had enough Great Wall: You’ll see a bit of wall on this hike, but just 600m of the whole trail is actually on the wall. The rest of it is hill trails and dirt roads. Parts of the trail will be overgrown and scratchy, with a bit of ducking and weaving required to get through Potato Valley. We finish the hike following the first 4km of our Zhenbiancheng Great Wall hike. Twenty-one photos from a long walk in the hills in Beijing’s northwest, visiting small villages and hiking over big hills. Photos from a long hike through the hills to visit tiny Shuitou Village. 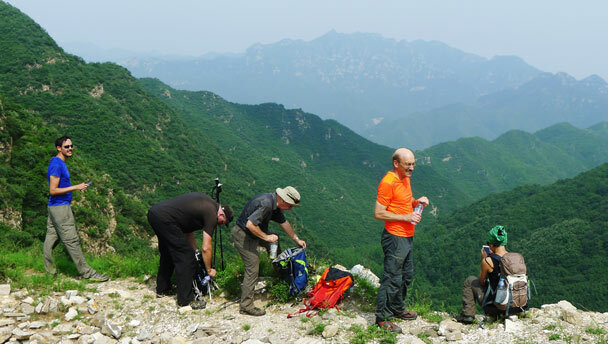 Photos from a new trail way out in the middle of a mountainous rural area of Hebei Province.